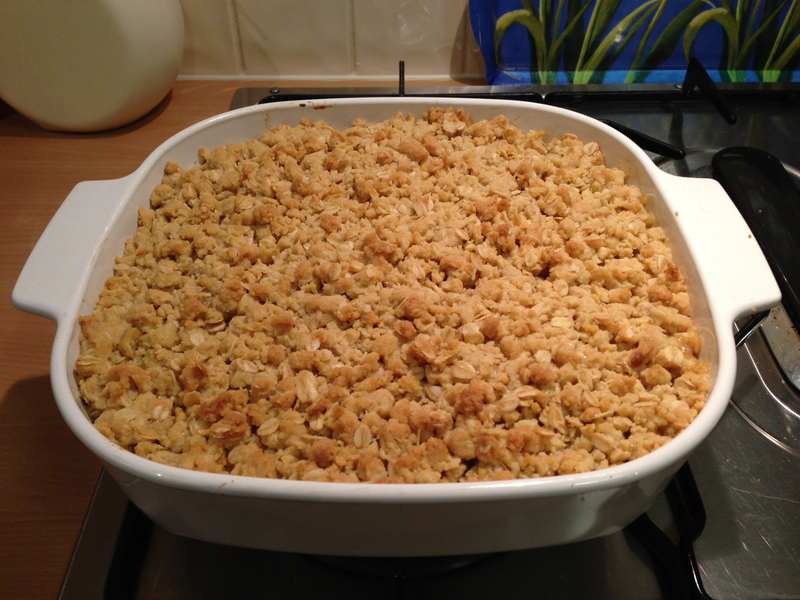 I love a good crumble, and like you, believe that the crumble should be equal to (or greater than!) the depth of fruit. As someone who can’t eat apple, I highly recommend peach & raspberry (frozen from fresh when they are significant cheaper in Spring & Autumn, or just frozen from a packet), or to bulk it out a bit, peach, pear & raspberry (Matt tells me it is good – I can’t have pear either). A crumble would be my most loved dessert year-round. Thanks for sharing! Yummy, looks super crunchy but juicy too! yum, i can never go past a good crumble. this looks delicious!